This chapter examines Consumer-Centric Marketing in the internal market from a legal standpoint. A legislative trend towards the protection of consumers' rights and individuals' privacy is witnessed in the European Union. Consumer-Centric Marketing, however, employs techniques that put consumers at a number of risks related to both their privacy and their economic freedom. The purpose of this chapter is to indicate the limits of legality pertaining to Consumer-Centric Marketing, when applied within the European Union. 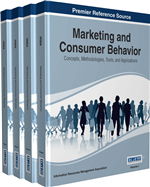 The chapter examines two forms of Consumer-Centric Marketing, i.e., the Cause-Related and the Relationship Marketing. It explains European legislation on the protection of personal data and all current developments in Unfair Competition law in Europe, and it presents the tactics that should be avoided by companies when implementing the above marketing methods, so as to prevent a possible ban on their advertising. Within the framework of their communication policy, which is a basic component of marketing (Kloss, 2003), companies have implemented over the years various tactics to approach and attract the public. These tactics are becoming more and more imaginative with the help of modern technology. Thus, after the companies had used all traditional mass media for their promotional purposes (telemarketing, product placement, cold-calling, sponsoring, etc. ), they turned to the Internet and took advantage of modern technology (banners, frames, linking, power shopping, virtual malls, online auctions, email marketing, etc.) and invented new forms of advertising, such as product presentations in fairs and exhibitions, the so-called character merchandising, various happenings (Perakis, 2004), as well as advertising with free gifts and benefits, sales promotion through competitions, the “pyramid sales,” etc. (Marinos, 2002; Kiantos, 2011). Nowadays, however, it seems to be insufficient for companies to enter new mass media, to display inventiveness in their advertising methods and to tempt consumers so as to ensure demand for their products. Competition in the market is very intense, and consumers, on the one hand, have many alternatives regarding the products they are interested in and, on the other hand, they can be informed about the quality of the products by impartial sources. It follows that the purchasing behaviour of consumers is more conscious today than before. Factors still likely to influence and guide them may be the price of a product and the level of convenience in its acquisition and use. In any case, the bond between consumers and companies seems to have become temporary and occasional (Brito, 2011). Consumer-Centric Marketing, as it has evolved over the years through science and business practice, intends to fight against these trends. Its target is that the consumer singles out a company and stays loyal to it, remaining indifferent to foreign challenges, as well as to the company’s own mistakes. This study analyses two types of Consumer Centric Marketing, the so-called Cause-Related Marketing and Relationship Marketing. It examines their logic and methods of application and poses the question, which legal issues might arise from the use of such practices. The implementation of Consumer-Centric Marketing, just like that of conventional forms of marketing, can also affect the interests of competitors, the public interest for a healthy and fair competition in market, and in particular the consumers. In the framework of a consumer-centric advertising, campaigns may for instance include the appropriation of advertising concepts belonging to other companies, slander of competitors, attempts to annihilate the company’s competitors through mass gratis offers and disposal of goods at below cost prices etc. The imitation of distinguishing features of other companies, such as names or trademarks, can also occur, by means of which the person advertised attempts to gain parasitically recognition in market to the detriment of his/her competitors. The advertised company may also attempt to gain a competitive advantage in the market by violating legal provisions, such as market, tax, and environmental regulations. What is more, Consumer-Centric Marketing strategies can generate legal concerns related especially to the consumer. Relationship Marketing employs techniques like extracting and storing consumers’ personal data, creating consumer profiles, adapting the company’s sales policy to them, and targeting its advertising messages to individual customers. In addition, Cause-Related advertising can be emotionally charged and psychologically coercive, forcing consumers towards purchasing attitudes, which otherwise they would have never developed. This study deals with the consumer as a subject of competition, recipient of the advertising, and reference point of Consumer-Centric Marketing. As it will be shown, the European Union supports the idea of a liberal internal market and is open to new forms of sales promotion, which can serve the objective of free movement of goods, services, and capital between Member States. However, the EU is highly sensitive and protective towards the recipients-targets of such practices. In recent years, it has undertaken a methodical effort to regulate marketing and to harmonise the law of its Member States related to consumer protection, as well as to the protection of personal data. Furthermore, in all Member States the economic freedom and the informational self-determination of individuals have been recognized as constitutionally protected rights.